When Can Baby Eat Fish? A study was published in 2008, and many more since, indicating that delaying the start of foods may not prevent food allergies as once was thought. In light of those studies, there are new feeding recommendations. As with starting any new foods, be sure you talk with your pediatrician about the right timing for your baby. However, your pediatrician may offer your different advice, based on your baby's health needs. More conservative suggestions for offering fish to babies state to wait after your baby is 1 year of age for fish and possibly delay to age 3 for shellfish and crustaceans, like lobster, clams, oysters, and shrimp. Again, new studies indicate that this may not be necessary. Definitely, discuss with your doctor her thoughts on feeding fish and shellfish to your baby. Fish is a meat that can be a wonderful source of nutrition for your baby. It is packed with lean protein and contains the Essential Fatty Acids (EFA), Omega-3. 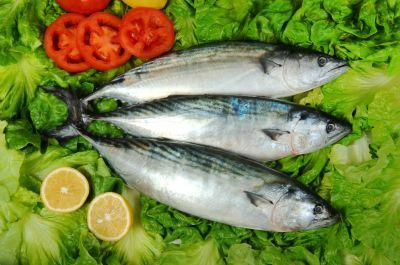 The American Dietetic Association notes that these fats in fish promote brain development. Additionally, fish can provide varying amounts of iron, calcium, zinc and magnesium. Have been thoroughly cooked. Avoid raw, underdone fish or ceviche "cooked" fish. Are considered to have lower levels of mercury content. Avoid fish such as swordfish, king mackerel, shark, and tilefish. Your baby might better accept white fish that has a milder taste rather than a distinctly "fishy" taste. Flounder, haddock, cod and sole are all great starting points for your baby. As your baby develops a taste for fish, you might add in fish that have a stronger flavor. You can prepare the fish in a variety of ways - steaming, poaching, or baking will be a more healthful preparation to pan-frying. These methods also tend to make the fish softer and easier for your baby to mash. If you are making your own baby food, you can process the fish to your baby's desired texture. You may also wish to mix it with a fruit or vegetable that your baby loves. Be creative in your combinations. Though peaches and fish may sound like an odd combination to you, your baby might yum it all up! If ready for table foods, your baby can self-feed properly cooked, deboned fish. Simply make sure the fish is cut into suitable small pieces that he can handle. When can baby eat yogurt? When can baby eat cheese? When can baby eat honey? Jill Weisenberger, MS CDE RD. Is Fish Healthy for My Child?. American Dietetic Association. Greer FR, Sicherer SH, Burks AW; American Academy of Pediatrics Committee on Nutrition; American Academy of Pediatrics Section on Allergy and Immunology.Effects of early nutritional interventions on the development of atopic disease in infants and children: the role of maternal dietary restriction, breastfeeding, timing of introduction of complementary foods, and hydrolyzed formulas. Pediatrics. 2008 Jan;121(1):183-91.